During my travels to Virginia a few weeks ago, I came across some interesting vehicles that I wanted to share with you. 1. 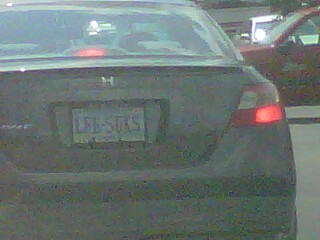 LFE SUKS- I saw this plate at a Chic-Fil-A in Virginia. 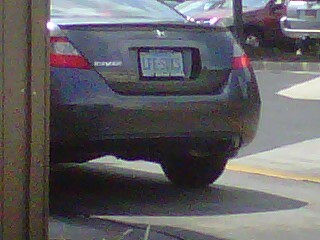 How bad does life have to be to have this vanity plate? Is this really the type of person you want driving a 2,000 pound missle down the highway? 2. Going Through Hell- When I saw this custom paint work, I thought, what possesses a person to paint something like this on their vehicle? Maybe they have gone through hell? 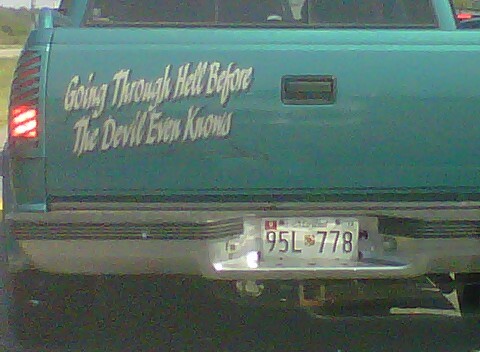 I’ve seen other ones like “Heaven doesn’t want me and Hell can’t hold me.” I’m trying to think about what I might put on my car when I save up some extra money! 3. 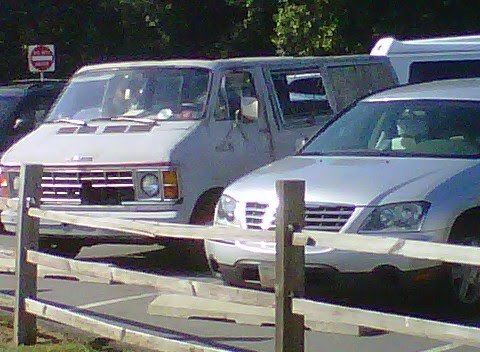 Creeper Van?? 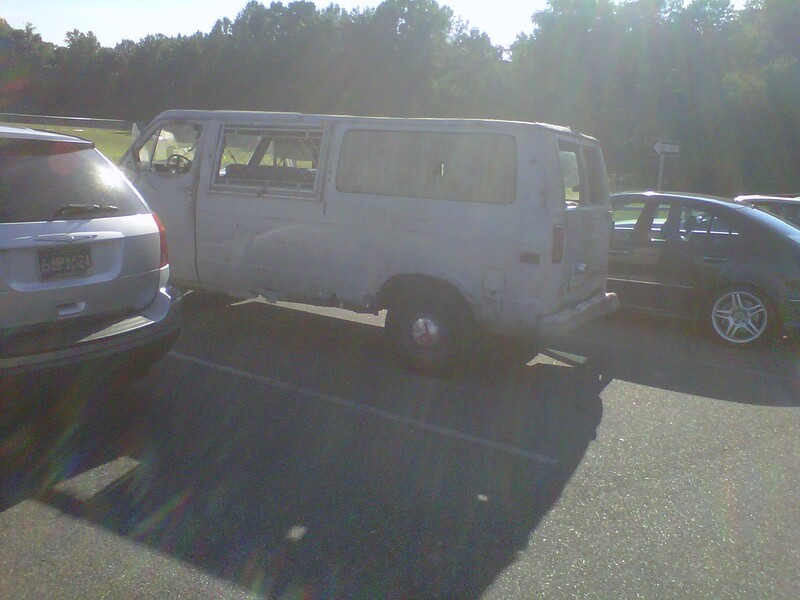 I saw this van in Delaware. First, you may notice the sheet of plywood in the window. But there was also a chain link fence kind of rigging in the opposite window. Oh yeah, a couch in the back. 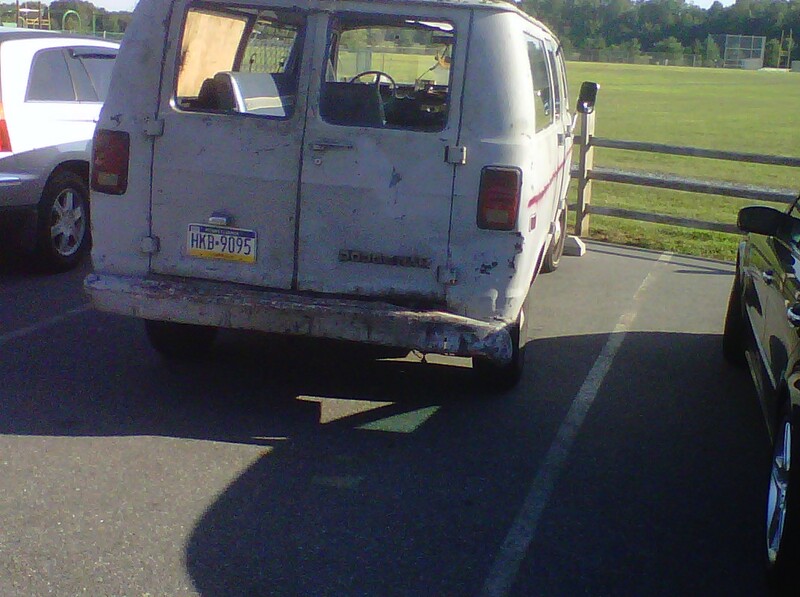 The cherry on top was that the roof was cut so the van was like a convertable. Epic.